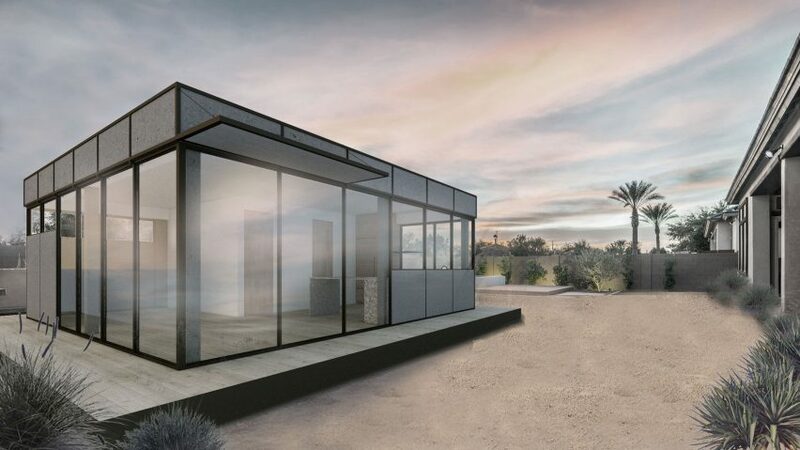 Designer Yves Behar has launched a range of prefabricated accessory dwelling units that aim to tackle rising house costs and increase urban density in California. 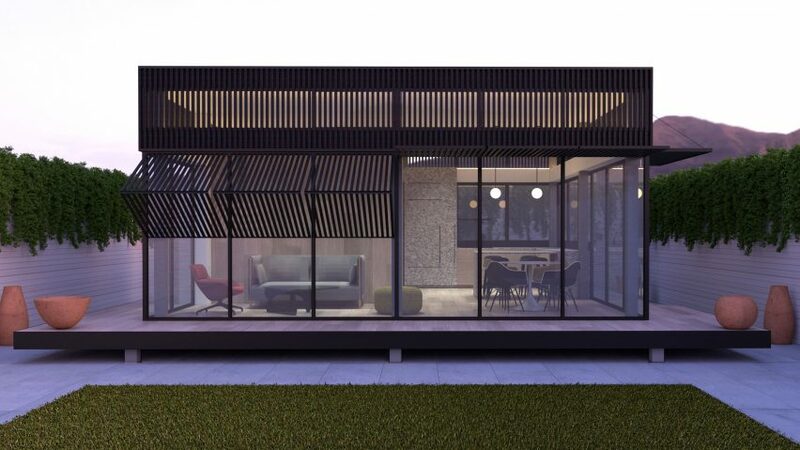 The San Francisco-based designer has partnered with custom home company Plant Prefab – which recently gained funding from Amazon – to create LivingHomes YB1, the first in a line of accessory dwelling units (ADUs) intended to fill gaps on existing properties. The micro homes are marketed as potential accommodation for young family members, elderly parents, students or others struggling to afford their own houses. Unveiled at the Summit ideas festival in LA this week, the YB1 has a modular design that can be fully customised depending on site conditions, functionality and personal taste. Béhar, founder of design studio Fuseproject, believes this is a step onward from his Ori robotic furniture system for transforming space-poor homes, created with researchers at MIT. "Following our work on efficient living with robotic furniture company Ori, I'm excited to extend the passion for tiny homes and prefab by partnering with LivingHomes," he said. "For me, the next frontier of design is to think of the entire home as a product that a home owner can shape to their needs in terms of size, usage, aesthetic and lifestyle." Based on a four-foot (1.2-metre) grid, the ADUs can be built to sizes between 250 and 1,200 square feet (23 and 112 square metres). Full, half-height and clerestory windows can be positioned anywhere around the exterior, depending on views or privacy requirements. YB1 is initially available in three options, with different floor plans and roof styles. Two flat-roof options are designed for warm dry climates like LA's, and can be installed with solar panels or planting. A pitched roof version is available for colder wetter weather, such as in San Francisco. Units can be configured to include a kitchen, bathroom, living room, and bedroom or office. The model on show at Summit incorporates a heating, ventilation and air conditioning (HVAC) system, and a television that Behar designed for Samsung to look like a piece of art when not in use. The homes are fabricated at Plant Prefab's facility, and assembled on site using helical metal piles as ground anchors. "This is why we're interested in the customisable nature of prefabricated ADUs: people want their living environment to be a reflection of their specific life needs," said Behar. 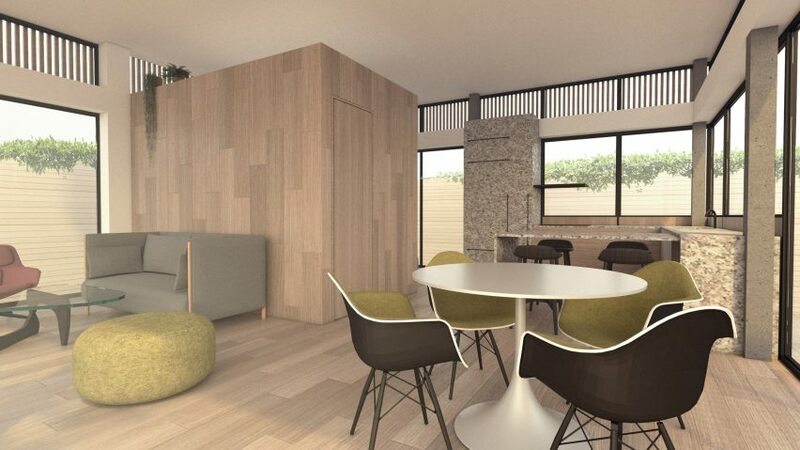 "The design goal of the LivingHomes ADU is adding urban density with a range of sizes and home designs, while providing a building system that delivers on sustainable and efficient living in urban areas." The YB1 is priced around $280,000, with plans for models starting at $100,000 in the future. 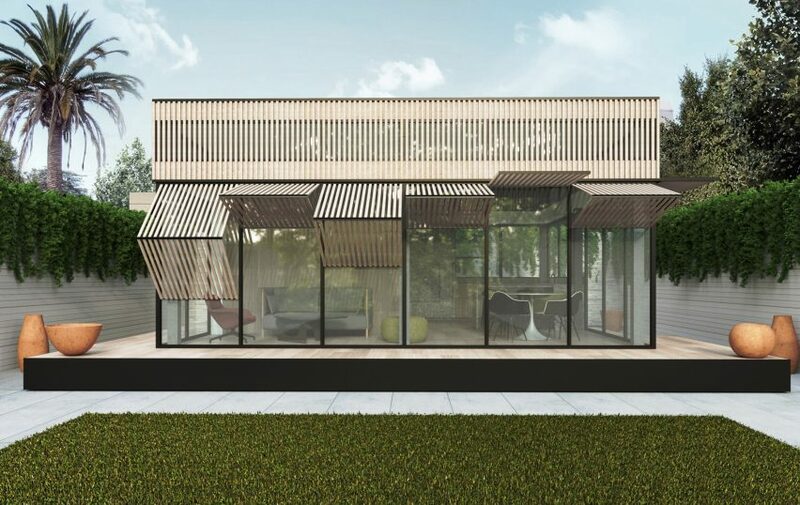 Plant Prefab's recent Amazon investment came from the retail giant's Alexa fund, with the goal to integrate its suite of voice-controlled devices into affordable easy-to-build houses. Behar has previously worked on a variety of products for connected living, from home security cameras to a robotic crib.